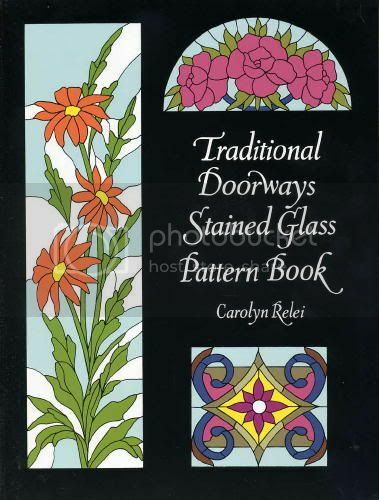 Here is a good type pattern or idea book for garden art, or wall hangings or small free standing table or mantle art. By using strap,strip,wire,or gas welding rod for the black line design. You have a nice looking window silhouette hanger, table decoration,mantle topper. If the outside framing is made from a little large stock or even tube square or round. You can transfer the it to the garden as trellises,free standing pieces or two of the long panels and a domed top piece you have a entry way or walk through arbor. By adding some other metals in place of the glass. Copper,brass, aluminum, stainless or different patina's or the stains in clear you can add another dimension,to the piece. By doing say the flower heads on top of the background layout, with slight curve to the petals you can make them pop out. Or by making them out of thicker stock. they can become,in or out door security, fence gates or overlays for some wood doors. Over the next couple of days, I will be doing a number of pattern and clip art books. That are a great source of ideas and pattern for metal work. 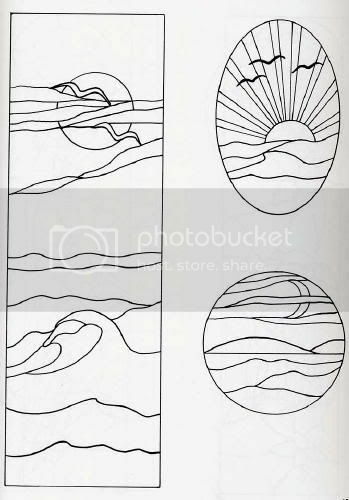 Of course almost any clip art CD will have line art, or line drawings in them. They are the easiest to convert for us drawing challenged. Dover has an abundance of books and book with CD-Roms for pattern work of all kinds. Quilter patten books are good too.